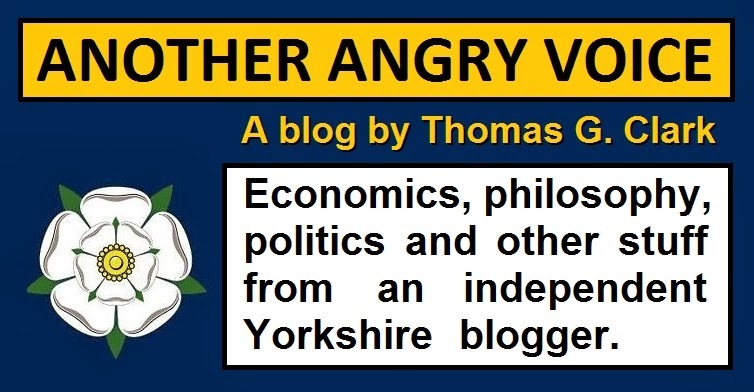 Aside from being a living 'Lord Snooty' caricature of the quintessential English Toff, Jacob Rees-Mogg has strategically positioned himself as one of the most powerful people within the ruling Tory party, despite never even having served as a junior government minister. The way he's done this is by becoming the leader of the hard-right Brextremist 'party within a party' called the European Reform Group (ERG). This shadowy organisation rakes in taxpayers' cash to fund their campaign in favour of the hardest possible Brexit, and has easily enough members to call a no confidence vote in Theresa May at any moment. The two previous leaders of this Brextremist pressure group Steve Baker and Suella Fernandes have both been rewarded with positions in Theresa May's government, but Rees-Mogg doesn't seem to just be interested in bagging some junior ministerial role, he's intent on using the ERG's influence over Theresa May to control her every move. May knows that if she steps out of line over any issue, the ERG have the power to oust her because they've got more than enough members to trigger a leadership election by registering letters of no confidence with the Chairman of the 1922 Committee (the archaic method by which the Tory party dispose of unwanted leaders like Margaret Thatcher and iain Duncan Smith). Theresa May knows that if she defies the ERG then she'll be out of Downing Street in a flash. The upshot of all of this is that as the leader of the ERG Jacob Rees-Mogg is the de facto Prime Minister, a man who gets to call all the shots, but doesn't have to take any of the flak when things go wrong because he can use the hapless and hopeless Theresa May as a bullet shield. One interesting question is whether Rees-Mogg has used his indisputable power over the Prime Minister to push for things that go beyond the hard Brexit fanaticism that the secretive ERG pressure group exists to promote. For example have Rees-Mogg and the ERG had any influence over the Tories' extremely pro-Russian behaviour in the weeks before the Salisbury attack for example? Given the revelation that Rees-Mogg's Somerset Capital Management fund has a huge £90 million investment in Russia, including £57 million in the blacklisted Russian Sberbank, the very recent Tory party decision to deliberately obstruct the introduction of Magnitsky powers to clamp down on dodgy Russian money looks a tad suspicious. Sberbank is already subject to EU and US economic sanctions, but somehow Rees-Mogg and his Somerset Capital management chums have seen fit to retain this dodgy investment despite the sanctions, and £43 million worth of other Russian assets. 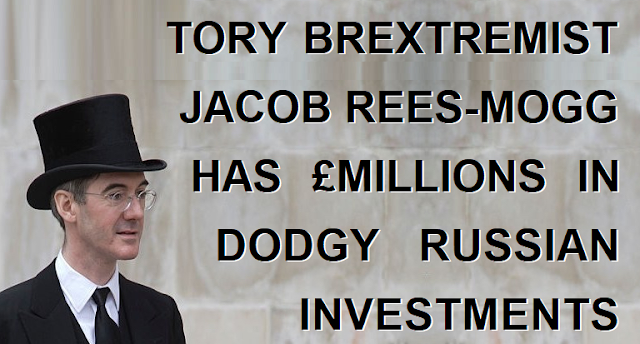 These kinds of Russian investments obviously mean that any serious government moves to clamp down on Russian money flowing in and out of the UK would represent a risk to Rees-Mogg's profit margins. Because of the secrecy of their operation it's impossible to know whether Rees-Mogg and the ERG are responsible for the Tory government's very recent policy of obstructing Magnitsky powers, but their continual secrecy (despite being bankrolled by the taxpayer) leaves questions like this hanging in the air. If they insist on being so secretive about their influence on government policy, it's clearly invites questions about whether they would use this secret influence to further their own financial interests. Unless they give up the secrecy and actually publish stuff like their membership list, all of their sources of funding, their contacts and communications with government ministers, their contacts with people and institutions outside the Tory party, and their own financial conflicts of interest, then these kinds of questions about how their influence could be misused are inevitable aren't they? It is of course possible to come at it from an alternative direction and ask the Tory government to provide a detailed explanation of their decision to brazenly obstruct Magnitsky powers up until very days before the Salisbury attack, but then that would require some journalists within the Westminster lobby to earn their salaries by actually holding the powerful to account, rather than uncritically churning out whatever hard-right propaganda trope is the chosen narrative of the day. Would Jacob Rees-Mogg abuse his position as the most powerful man in the Tory party to further his own financial interests? Given the culture of secrecy that runs through the ERG and Theresa May's autocratic government, who knows if it's even theoretically possible to answer the question. But given the abject lack of decent journalists within the Westminster bubble, it's almost certainly a question that will never be answered.